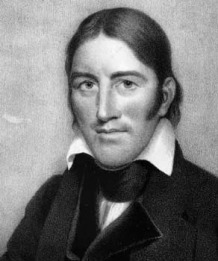 Davy Crockett was born on August 17, 1786. He was 47 years old at the time of the Alamo. Davy Crockett grew up playing with guns and was considered probably the best sharp shooter at the Alamo. Davy was the leader of the Americans at the Alamo and helped hold up the Texans as long as he did. 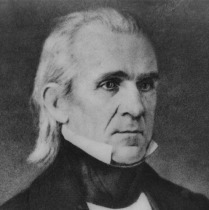 James K. Polk was the 11th president of the United States. He was the president during the Mexican-American War. Polk obtained more land in with the Treaty of Guadalupe Hidalgo than the United States obtained at any other point in history. The Treaty of Guadalupe Hidalgo exceeded the Louisiana Purchase and is responsible for close to half of the contiguous 48 states today. Martin Perfecto de Cos was a Mexican General during the Mexican American War. 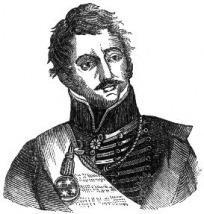 General de Cos was able to lead a group of 300 Mexican soldiers against the Northwest wall of the Alamo. de Cos' group was able to scale and get over the wall into the Alamo. James Bowie was an important leader for the Texans at the Alamo. Bowie made a decision not to leave the fort when his 30 men met 104 Mexican soldiers. Because he stayed the Texans were able to get more men and defend the fort and weaken the Mexican army severely.